The webinar will discuss how to increase your brand value by making the digital moments connected with your customers special. To view this webinar, please fill out the form to register and become a CX Network member. Or, if you're already a CX Network member, sign in below to view. You are only as good as your customer’s last experience with your organisation. Users expect great digital customer experiences. Today's customers are time-poor so they seek more mobility, flexibility and value self-service at the moment they choose. To create experiences that resonate you need to know your customer, but that's hard to do when data lives in silos. Real-life case studies: Find out how brands were able to better their business in the face of CX issues. Take control of the conversation: Get instant insight on your organisation's most important CX questions. Learn about Genesys and how we have helped make a difference to businesses. 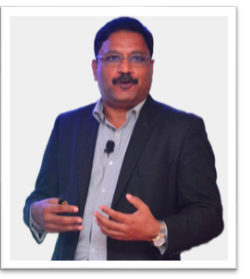 Raja Lakshmipathy is the Managing Director for Genesys-India. Raja is responsible for driving the architecture and sales strategy for Genesys’ comprehensive portfolio of digital customer experience solutions in India and SAARC counties. A seasoned professional with over 25 years of experience in the Collaboration and Customer Experience industry, Raja has held leadership roles with some of the pioneers in the Unified communication and Collaboration technologies. He holds a Bachelor’s Degree in Engineering and a Post graduate diploma in Management from Symbiosis University.